Barbecue season is upon us. But before you conjure images of backyards, burnt snags and sauce, consider the Texan-style barbecue on offer at Bluebonnet. 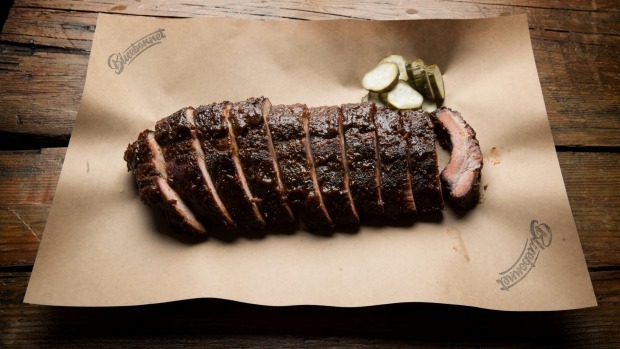 American barbecue isn’t about the quick grill; it’s about gently coaxing secondary cuts into tender, smoky surrender. In the Lone Star State, barbecue is a religion, its rituals sacrosanct, regional variations held up like commandments, and its best proponents revered as high priests of the pit. Local chef Chris Terlikar is something of a missionary, bringing the good word (“brisket”, or maybe “ribs”) to Melbourne. As befits a pilgrimage, it has been a storied and bumpy ride. Terlikar was working in New York and committed to a career in fine dining when American barbecue presented a fork in the path. 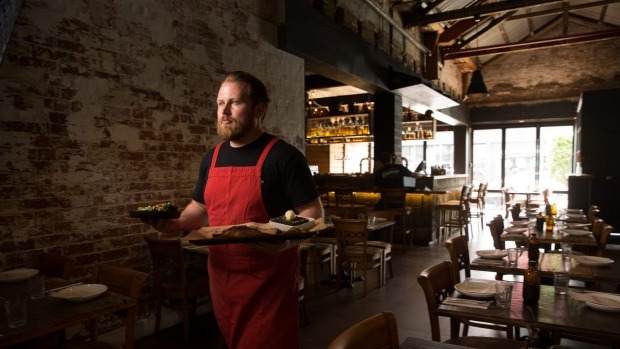 He fell hard for ‘cue’s finger-licking simplicity, ditched degustation life, and devoted himself to understudying Texan pitmasters. Back in Melbourne in 2013, Terlikar built a smoker from a milk drum, toolbox and dishwasher pipe and started running pop-ups. Melbourne meat lovers followed his smoke signals to various locations, including a Collingwood premises that opened, caught fire and closed in sadly quick succession. After five years of peripatetic pit-mastering, Terlikar found the current site and signed a 20-year lease: he’s done with traipsing. And what a place to stop: Bluebonnet is a massive old-timey saloon, all timber and distressed brick, with breezy tables beside fold-back windows, perches around the bourbon-fuelled bar or under a taxidermied stag, a snooker room and, behind that, the kitchen with an impressive American smoker capable of cooking almost a tonne of brisket at a time. The low-and-slow style of cooking meat relies on indirect heat. A wood fire (here it’s dense, slow-burning ironbark) sends smoke and heat into a separate chamber, gently cooking the meat and infusing it with smoky flavours. The classic cuts are beef brisket and pork ribs. Bluebonnet nails them both. 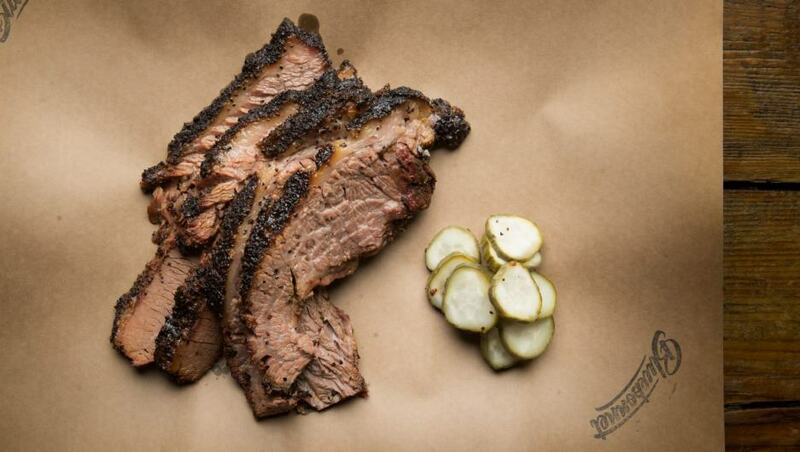 The brisket is seasoned with pickle juice and mustard, smoked all day, rested overnight, then served on day two. 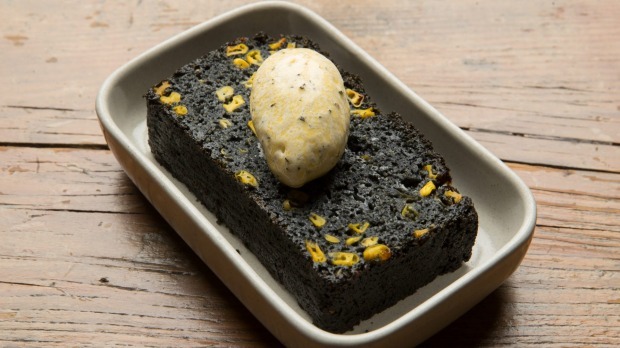 It is covered in a thick, dark “bark”, the crust that forms on well-seasoned, smoked meat. That salty crust gives way to succulent brisket that is subtly but persistently smoky in a way that rounds out the beefy flavours. It is sublime. You order by weight here; double whatever you think you need. Pork ribs are smoked for four hours, rested, glazed with jalapeno-spiked barbecue sauce and cooked some more until they are fall-apart, glossy and sticky. Enjoy the mess. Those two are compulsory – unless you’re vegetarian, in which case go the jackfruit. There is also pulled pork, lamb ribs, chicken and a sausage made from the day’s trimmings and juiced up with beer. It’s smoked too. 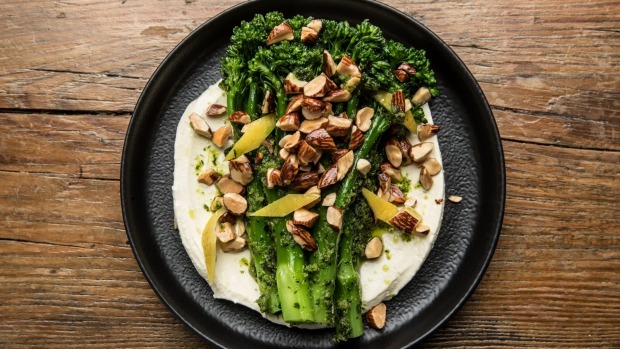 The sides have a distinctly Melbourne spin: grilled broccolini is served with smoked almonds and whipped feta, potato salad is tumbled with buttery leeks and horseradish aioli, cornbread is fancied up with fermented black garlic and a honey-thyme butter. All are really good. Terlikar has the pit mastered but the dining experience can feel a little loose, even though good intentions abound. It’s early days, though. With Bluebonnet’s next chapter to be written over 20 years of smoky deliciousness, there is time enough to get everything right.